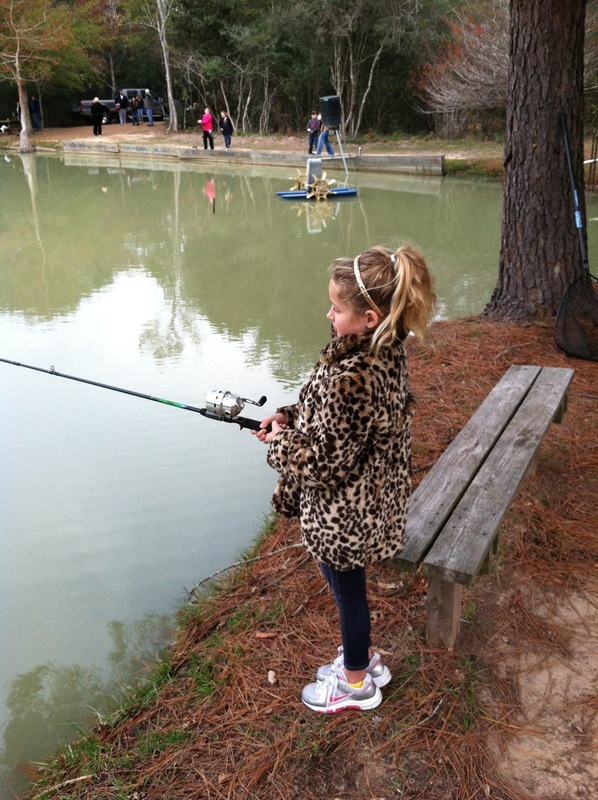 Ry Bray just finished a 6 week fishing club at school where they met every Tuesday morning at 7:15. Who would have thought my little fashionita would enjoy learning about saltwater & freshwater fish caught in Texas, fishing regulations and learning how to tie knots! Well she did and this morning she had her chance to show off her skills at the family fishing outing. In her glitter headband and leopard coat she was the first one on the board catching a catfish! 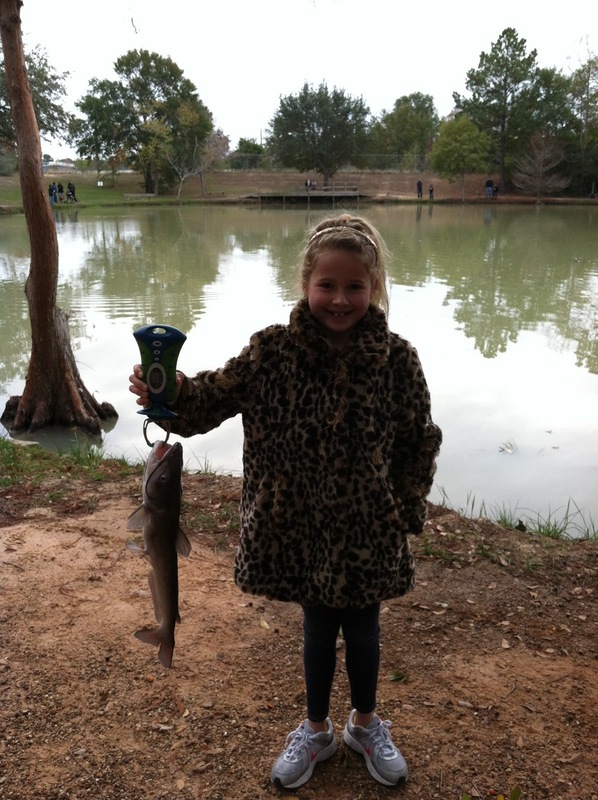 So proud of my fashion forward angler catching THREE fish! Fashion Fishing at its Finest. Way to go Ry Bray! Did you release or eat?